The works of Anna Kovalchenko's interior design studio located in Marbella, Spain were marked by regular publications in popular Russian and international magazines about interior design, architecture and real estate. Publication in TRENDS magazine (Portugal), summer edition 2018. Publication in ASPIRE DESIGN AND HOME magazine (the USA), summer edition 2018. 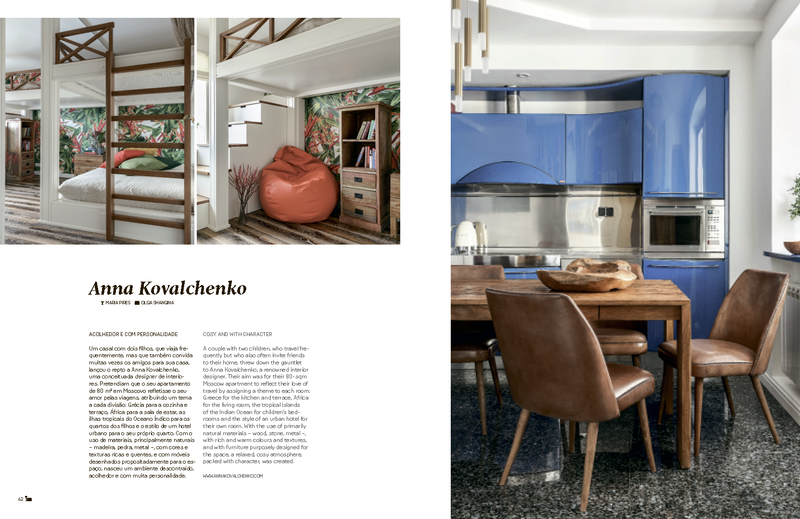 Publication in Domus Design magazine (Ukraine). April - May 2018. Publication in iDecorama Magazine (India). July 2018. Publication in Delikatissen - popular Spanish blog about interior design. April 2018. Publication on HOUZZ - popular website about interior design and architecture. July 2018. Publication in Vintage & Chic - popular Spanish blog about interior design. April 2018. Publication in MyHouseIdea - a renowned online platform for interior design, March 2018. Publication in DECOESFERA - a renowned Spanish platform for interior design, March 2018. Special edition of Russian magazine "Ideas for Your Home" from February 2018. Russian real estate magazine ASN, august 2017. Popular American blog about interior design "Apartment Therapy", August 2016. Popular French blog about interior design "Planete Deco", February, 2017. Popular French blog about interior design "Planete Deco", July, 2016. Interview for NIZZA PARADISE - luxury real estate agency, November 2017. Publication on HOUZZ - popular website about interior design and architecture. November 2016. Interview for BRABBU Design Forces, May 2015.